Safety Checklist for Contractors – Model for certifying contractors’ SHE management systems. Download our SCC certificate and the associated SCC annex here. 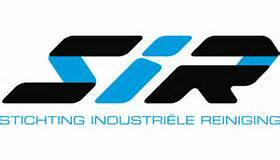 Cuijpers Services BV is also a member of the Dutch Industrial Cleaning Foundation (SIR/Stichting Industrieel Reinigen). Policy statement – Objective and Guidelines of the SIR. Cuijpers Services BV is certified in accordance with the ISO 9001:2008 quality management system standard – Model for implementing effective quality management in the manufacturing, installation and upkeep and maintenance sectors. Download our ISO certificate and the associated annex here. Cuijpers Services BV is a member of Vereniging ION (Vereniging Industrieel Oppervlaktebehandelend Nederland), the Dutch industry association for the surface treatment industry. Cuijpers Services BV attaches great importance to ensuring that its employees possess the qualifications and competencies required for performing their work expertly and operating the associated equipment. To achieve this, our HRM sets up and manages annual training programmes. For example, a number of employees are professionally certified as Paint Sprayer 1 and Abrasive Blaster 1, in accordance with the TUV Rheinland Quality regulations for personal certification. The examination was arranged by Examenbureau Industriële Applicatietechnieken V-ION in Nieuwegein. You can rely on our employees having the right skills and qualifications for performing the work to the highest standards and quality requirements. Cuijpers Services BV attaches great importance to minimising its environmental footprint and working in an environmentally friendly manner. We always work with the most environmentally friendly products and blasting grit is recycled whenever possible. The waste generated by our activities is stored and collected by certified waste processing companies. during performance of our work. Cuijpers Services BV uses the extensive expertise and hands-on knowledge it has acquired through long-standing experience in the sector to inform and expertly advise customers on corrosion-prevention systems and their suitability for a specific application. We also have an in-house QA/QC Department. Our quality controllers use appropriate and essential test and measurement equipment to monitor quality during on-site and off-site activities. Their work is supported by a specialised software system which is capable of generating a clear quality report indicating coating thicknesses and other quality parameters once an order has been completed, if this is requested by a customer. Optimal quality control using modern measuring equipment and resources. Optimal performance of the work requires the equipment to be properly maintained and regularly inspected. For example, our electrical tools and equipment are inspected each year according to the NEN 3140 standard. The inspections are carried out by both internal inspectors and external parties.